Coal Train’s team of skilled industry professionals is led by a dynamic group who have years of experience under their belts. Our CEO Karla McPhail’s qualifications and experience in organisational psychology and education are the backbone of her remarkable success as a mentor and guide. She collaborates closely with our clients, developing individual plans to achieve their personal best. We consistently receive positive feedback about our courses and specialist trainers (see our testimonials page for more). To find out more about our team, read their bios below. Karla Way-McPhail credits her 20-year career as a teacher and qualifications in educational psychology and standardised testing as building blocks for the mining industry companies that she leads. 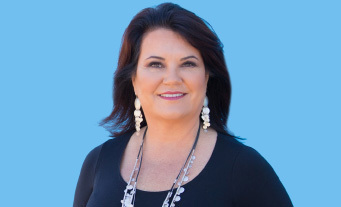 Karla has been a director and CEO of Undamine Industries for twelve years, growing the business from a dream on a kitchen table in Middlemount to be one of the industry’s largest privately-owned contracting companies in Queensland. She manages business development, contracts, accounts and human resources. Undamine, a black coal contracting company servicing the Bowen Basin, has contracts with AngloAmerican, Glencore and BMA. Undamine’s focus on safety identified an opportunity to build a state-of-the-art training facility in Yeppoon, specialising in the resource sector. After two years planning, Karla achieved her RTO and launched the training organisation Coal Train Australia in January 2012. As CEO her role includes course development, training, mentoring and corporate relationship building. Karla’s background in educational psychology allows her to lead a culturally friendly training organisation that caters for a variety of demographics and learning needs. Under Karla’s direction, Coal Train have just introduced Mentorship, Management and Leadership training. Peter McPhail has been the Company Director of Undamine since its establishment in 2005. 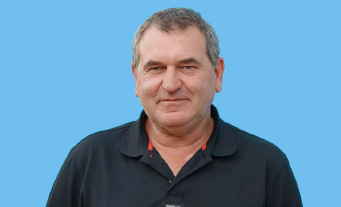 He has over 20 years experience in the underground mining sector throughout the Bowen Basin. Peter has worked in a variety of roles including Explosion Risk Zone Controller, Longwall Co-ordinator, Training Co-ordinator, Project Supervisor and Supervision of Outbye Services. Peter is well respected in the black coal industry for his technical knowledge and outstanding safety record. Peter is a focused and motivated leader with as strong track record of success as an operational manager. He possesses highly developed skills in negotiation, consultation and problem solving skills; he is flexible and adaptable to changing work environments. 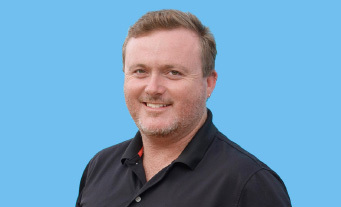 Shane has been a Company Director of Undamine since its establishment in 2005. He has in excess of 15 years experience in the Underground mining sector. During this time Shane has worked in a variety of roles including, Apprentice Engineering Tradesperson, Acting Longwall Mechanical Coordinator, Leading Hand Fitter, Panel Tradesperson/Operator, Longwall Service Engineer, Underground Fitter and Longwall Production Coordinator/Shift Manager. Shane’s technical competence is complimented by his leadership skills in strategic planning and understanding cost management principles. Shane has strong communication skills that allow him to successfully work and manage across all sectors.